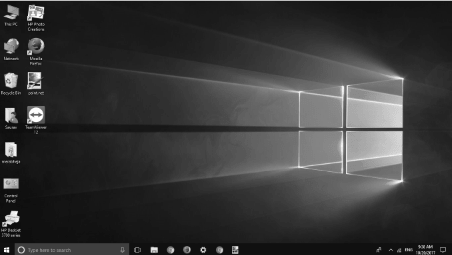 Color filters are a cool feature introduced in windows 10. You have Greyscale, Druteranopia, Protanopia, Tritanopia etc. as Options available. 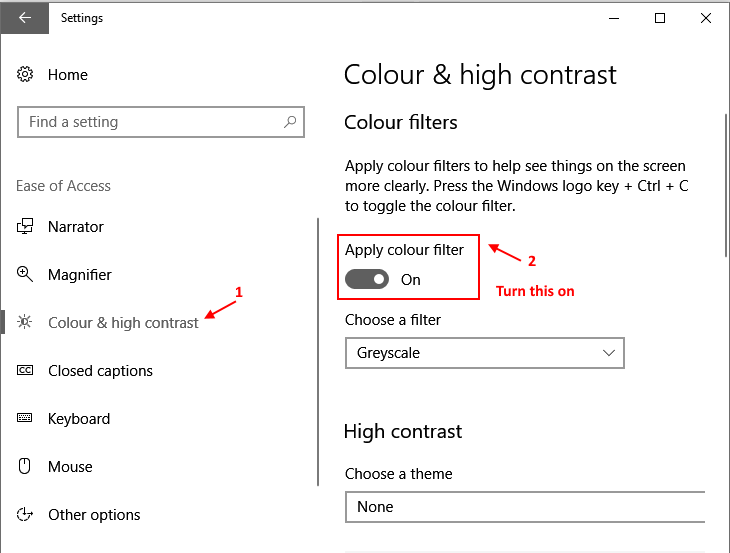 If you are unable to see clearly whats on your windows 10 screen, you can turn on Color filter in settings. These Color filters are also capable of refreshing your PC with a new look and are a better alternative to changing themes. 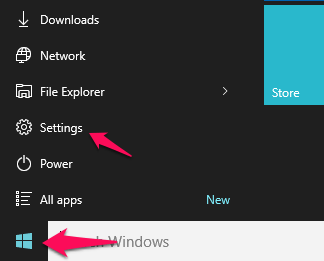 Step 1 – Open settings by clicking on start button and then clicking on gear icon. Step 2 – Now, click on Ease of Access. Step 3 – Now in the left menu, Click on Colour & High Contrast. Step 4 – Now, Toggle on the Apply Colour filter button to enable Colour Filter. Note that the above screenshot is in Greyscale filter as this is the default Colour filter. You can choose different Colour filters to change the look and feel of your PC. Lets say i have Chosen Greyscale as a Filter from drop down. This is How my Desktop will now look. 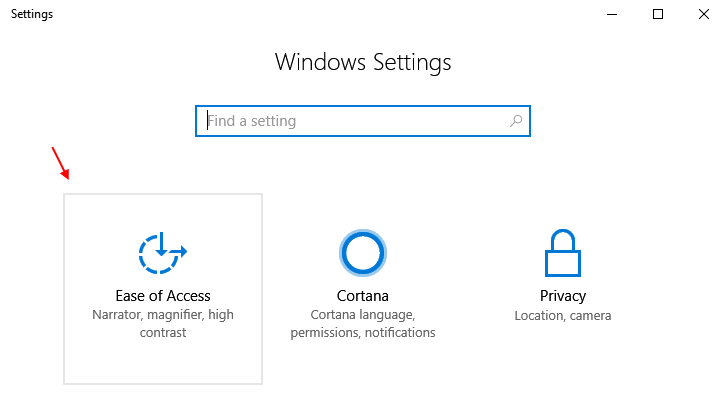 After you applied the colour filter in your windows 10 PC, you can always toggle between the filter and non filter state by pressing Windows logo key + Ctrl + C together.